﻿ Kimirica joins hands with Hunter Amenities International, Canada. Kimirica Hunter International is India’s largest manufacturer of Luxury Hotel Toiletries and Guest Room Amenities serving to largest number of International hotel chains in the region. Our finest quality Guest Toiletries are developed with natural formulations using natural actives, pure essential oils, exquisite natural fragrances, 100% paraben-free preservatives. 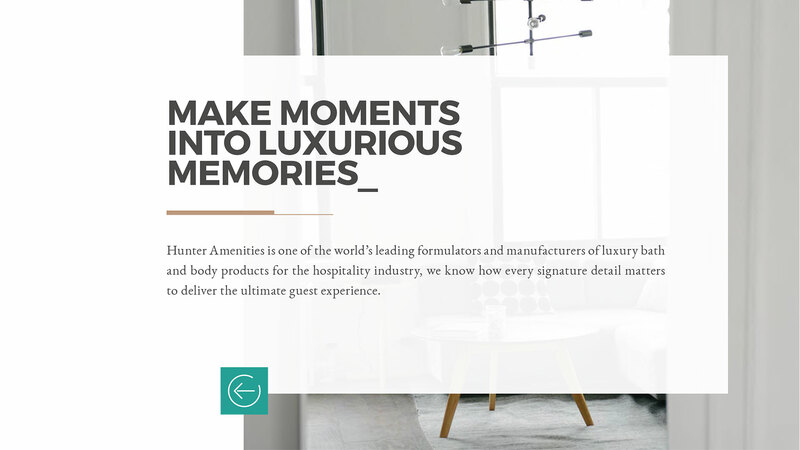 Kimirica has joined hands with Hunter Amenities, one of the world’s leading formulators and manufacturers of luxury bath and body products for the hospitality industry. With this joint venture, Kimirica Hunter is able to offer India's largest portfolio of luxury amenity brands with beautiful tailor made solutions. For over thirty-five years, Hunter Amenities has pioneered a remarkable array of superior personal care products growing into one of the world’s largest manufacturer of Guest Amenities. 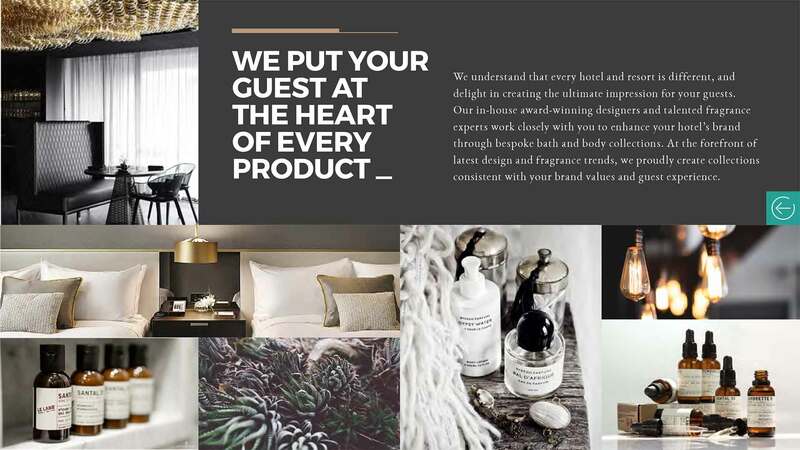 Ranging from distinctive hotel amenities to luxurious spa and retail collections, we are one of the world’s leading formulators and manufacturers. We also offer a prominent selection of licensed, internationally recognized designer and cosmetic brands. With global clients like Westin, Fairmont, Radisson, Hyatt, St Regis and many more, we are driven by innovation, product excellence and global coverage. 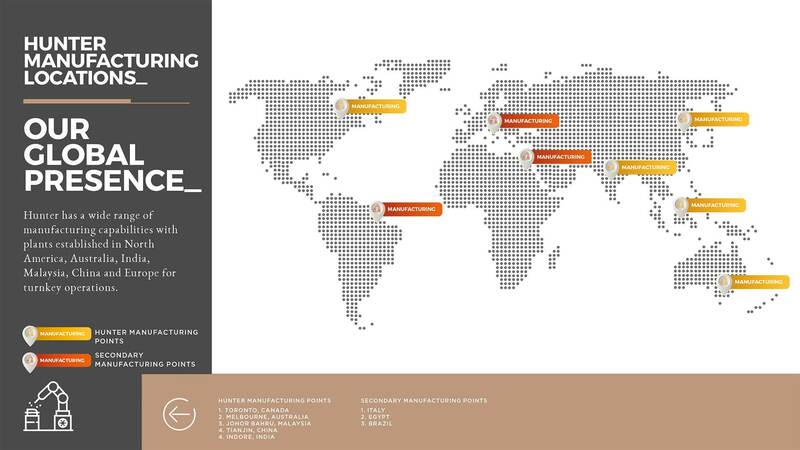 We have eight, state of the art manufacturing setups across the globe which helps our international hotel clients to enjoy global amenity programs with localized benefits & prompt customer service. Exclusive Toiletries Design / Branding service. Graphic Illustrations for customized products to make you feel how your product will look. SAP - ERP operation for easy ordering, efficient production and accurate tracking. Partnered with FEDEX for prompt delivery across the globe and live tracking of shipment. Dispatch warehouse located in Central India, which ensures efficient supply across the globe. Kimirica Hunter International is an ISO 9001:2008 certified organization with high quality control standards as well as GMP & FDA compliance. Our collection is suitable for every budget with elegant and exclusive designs to enhance hotel decor, by our creative in-house design department. 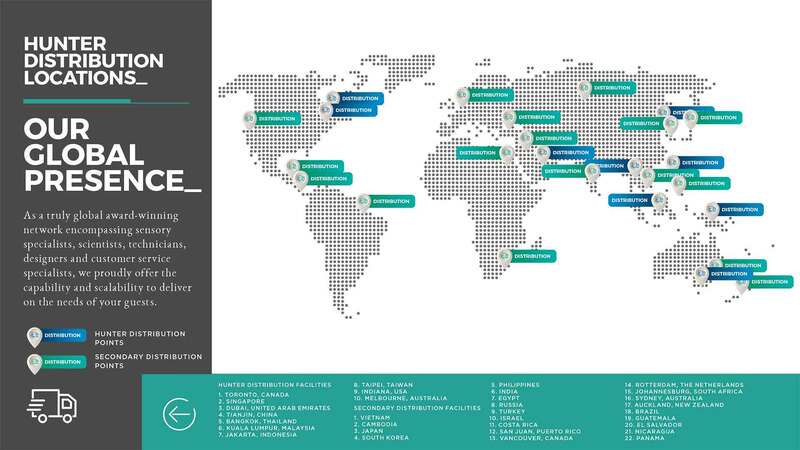 Our manufacturing experience extends more than 20 years with strong distribution system across the globe, assuring safe & timely delivery of goods. No animal based ingredients or by-products are used for manufacturing and are never tested on animals. All packaging materials are made with pharmaceutical & food grade materials with eco-friendly inks. Kimirica products have always been top of the line with modern design & pinnacle quality. They are adored by our guests and resonate perfectly with our hotel's image. Executive Housekeeper, Grand Hyatt, Mumbai. We really feel glad when guests frequently inquire about the IGNIS collection that we are using at our hotel for personal use. Kimirica and Sofitel have been associated for over three years now. Their classy designs blended with amazing product performances have always been a favourite amongst our guests. Kimirica product quality and service has always been outstanding. Their collection has always been popular within our guests. Director Of Service, JW Marriott Bengaluru.